Roaming the streets of West Seattle on a beautiful sunny day really allows for some beautiful views that many towns cannot compete with. The mountains amidst the various waterways really make for a nice walk. The only thing necessary to make the day a little bit better was a good lunch and a good cup of coffee. I managed to find a really good Mexican lunch at Puerto Vallarta, with a nice burrito and chips. Afterward, I marched down the street to grab some coffee at Hotwire Coffee, a local place I had intended on hitting at a former location a few days prior. Their sole location sits in a small brick building with a fenced courtyard with several outside tables. Inside, the cafe displays a quaint space, with a few inside seats amidst brick walls and a row of desktop computers. Hotwire roasts their own coffee, producing mostly single origins (the only blend is for their espresso). 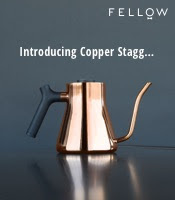 I sampled their Mexican; a saucy coffee that had prominent notes of chocolate but the brew I consumed proved overall flat due to what seemed staleness. The espresso, pulled fairly well, had a smidge of toasted almond in the front, an overall caramel-ish chocolate taste and but a small bit of charred darkness on back (not enough to ruin it). The tea is free leaf. In the end, the stop at Hotwire made my day fairly splendid (minus the stale drip of course). The next time I'm in town I hope to make another visit on hopefully a similarly beautiful day. 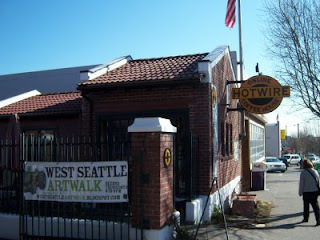 If in West Seattle, give Hotwire Coffee a whirl. I like coffee and I have to go to Seattle now. Perfect! you manage all thing perfectly. One of the common questions people have is if the grind is fine enough for espresso. Many people are perfectly happy with using Infinity for their espresso machine. Capresso Infinity burr grinder is available in several finishes. I like coffee very much and I drunk it everyday.And for coffee I use a herb grinder to grind ground coffee beans into fine powder. 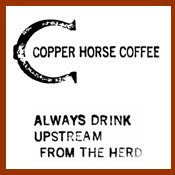 CC: Olympia Coffee Roasting Co.
CC: Caffe Vita Coffee Roasting Co.